This paper presents a large scale and longitudinal analysis of business survival patterns in Milan (Italy), which is based on data drawn from the business registers. It examines the role played by the country of birth of the entrepreneur in explaining business longevity. The study controls, by means of coarsened exact matching, for a set of individual, firm and context variables that have been found to impact on firm survival prospects. They include attributes of the owner (age and gender) and contextual conditions (industry and year of the start-up). 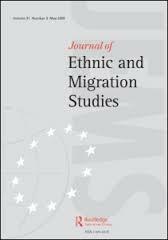 Results suggest that, all other individual and environmental factors being equal, migrant-owned firms generally have better survival prospects than their native-owned counterparts. More in detail, compared to Italian-owned firms, business run by individuals born in Egypt, Morocco, Peru and Albania display significantly lower failure rates; only Chinese-owned firms are less likely to endure. Implications of the findings are discussed.